After a weaker-than-expected holiday season and fresh round of store closures, TheStreet talks with Macy's Chairman and CEO Terry Lundgren. It was a tough day for Macy's (M - Get Report) . Shares of the storied department store plunged as much as 9% in afterhours trading Wednesday to $32.64 as the company detailed a lackluster holiday season of profits. Adding insult to injury, Macy's said it will close 68 stores by early spring in an effort to save money as it battles the transition to digital shopping. The company expects its sales this year to be hurt by $575 million as a result of the closures. About 3,900 employees will be let go. 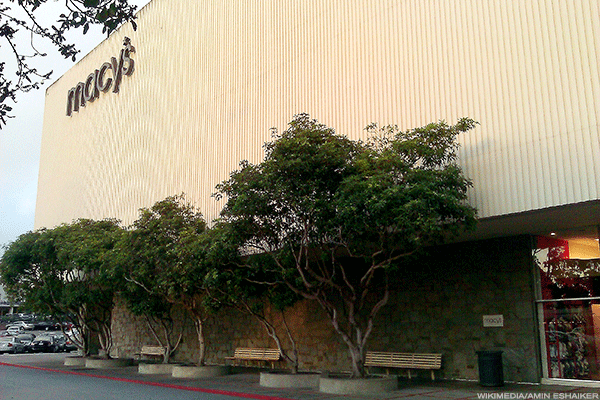 Macy's reiterated that it expects to close 100 stores over the next few years. "As we've noted, it is essential that we maintain a healthy portfolio of the right stores in the right places," Macy's long-time Chairman and CEO Terry Lundgren said in a statement. "We are closing locations that are unproductive or are no longer robust shopping destinations due to changes in the local retail shopping landscape, as well as monetizing locations with highly valued real estate." Although the closures will dent Macy's top line, it will boost its bottom line. Coupled with a reorganization of its organizational structure, Macy's anticipates saving $550 million in expenses this year. Macy's will continue to shrink in 2017. TheStreet: It seems as if all the planets were aligned to have a strong holiday season -- stock prices rose post Election Day, gas prices were still low and the jobs market was healthy. Why do you think things didn't shake out as you planned? Lundgren: I think all of us in retail have that same question. I just talked to my own organization about this very subject. Frankly, we expected -- and got -- colder weather in most parts of the country, and that was helpful. Certainly sales were better in cold weather categories than they were in the prior year. But it just wasn't enough to offset the general decline in store traffic -- and in-store purchases -- that we have been seeing across the board. Clearly, our online business is booming, and it's now the third-largest online business in the country after Amazon (AMZN - Get Report) and Walmart (WMT - Get Report) in our categories. So we are benefiting from the consumer that is shopping online, but it just can't offset where the majority of the business -- not just for us but also the country -- takes place, which isn't online but in stores. I think what you are seeing is that while online is growing, it's not growing the whole pie. Look, throughout last year we saw record automobile sales and strength in home goods, and I think people are still buying in other categories at the moment. In our categories, I think, it's all being divided up. So we will all have to work harder at providing those unique reasons for people to visit our stores. That's a big message for all of us in the industry. TheStreet: When will things in retail just get better? Every year now it seems as if the news is increasingly bleak. Lundgren: In our case, two years ago it was the single best year in the history of our company. We saw consecutive improvements in business from 2009 on up until that point. So, it wasn't too long ago we were having success. We have been through difficult periods, from Sept. 11 and the aftermath or what happened in the wake of the financial crisis. We made changes during those periods that allowed us to take market share and win customers back. But, it's going to take seriously aggressive and different strategies this time that are going to entice the consumers to shop with us. It's never an excuse to lose market share, because even if customers are spending less we just need to get more of their dollars into our stores. We have work to do. Obviously, we haven't solved the challenges out there that the industry faces. But, I am positive that this company will come through and win as we have in prior setbacks. 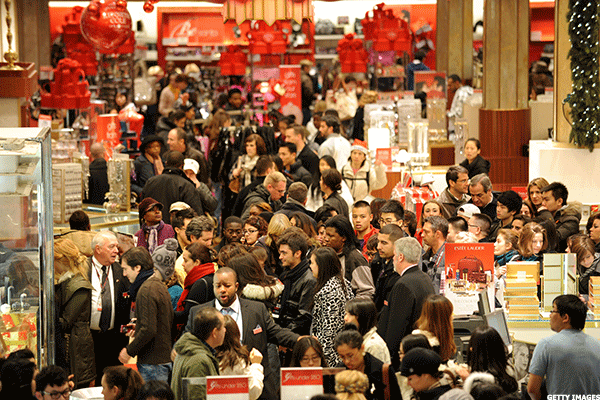 Shoppers did come out during the holidays, just not as much as many retailers planned. TheStreet: Once Macy's gets beyond this latest round of store closures, the store base will have really been pruned down. Is Macy's done closing stores after this round? Lundgren: I don't know of anyone in retail who was as aggressive as we were when we announced last August we would be closing 100 stores, many in retail are closing 20, or 30, and they have more stores than we have open. Given the size of our store base, closing 100 stores was a very big announcement. I have said this before, but America is still over-stored. My guess is that some rationalization of retail space needs to occur, and I think we were at the forefront of acknowledging that. We are ahead of the curve. We have tried to look at the entire landscape of the U.S. and said if we were starting a new company today, where must we have stores. We have looked at where populations are growing, and where they are shrinking. And that's how we came up with our store closure plan. So I can't answer your question for certain but in our case, we have clearly made an effort to look forward and get as much of this stuff behind us as we possibly could.